If you are using Samsung Galaxy series smartphones, then this deal can make you happy! (By the way, we do have a trick to use it on non galaxy phones!). 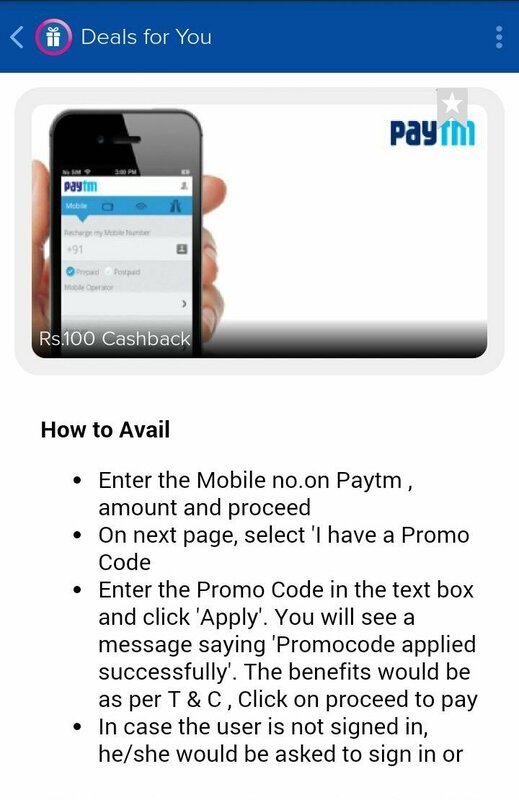 Paytm is now offering 100 Rs free cashback coupons these days in collaboration with Samsung. My Samsung Rewards is new android app exclusively designed for samsung mobile users. As of now, it is giving Paytm 100 Rs cashback coupon absolutely free. Just enable data connection on your Galaxy phone and download MySamsungRewards app from play store. Open the app and sign up for new account. Now, just look for “Deals for you” section and hit enter. Select “Paytm 100 Rs cashback on recharges/bill payments of Rs 200 or above” deal. Congratulations! Now you will get your unique 100 Rs cashback coupon code. Use it at Paytm app and grab your huge discount! Trick to get unlimited coupons for non galaxy users! [Try it on your own risk] For running this trick, your phone should have proper root permissions. Now install build prop editor app from Google play store. Grant SU access whenever required and select ro.product.model directory. Change your device name with any galaxy series and reboot phone. Now install MySamsungRewards apk and it will run smoothly! I am using Samsung galaxy note 3. I visited your website and here it is mentioned that you will get 100rs coupon from ‘my Samsung Rewards’ android app. Recently I downloaded samsung reward app and login and followed your all instructions but didn’t got any reward yet. By the way, you are really great and your ideas are so good. Hello Vipin, please note that all this offers are temporary. You should be quick enough to avail them. It doesn’t matter which Samsung model you are using. So keep looking everyday for new offers in MySamsungReward app. Yes.It’s still working. In addition to paytm coupon, you will also get BookMyShow 50 rs BMS vouchers. Thanks for sharing the tricks.. I got cash back from my Samsung mobile. Thanks for the trick but it is not working for me. But still it says Application is not supported on your device. Hi Dear, to get our latest updates, just subscribe to our blog. You can find this option below “post comment” button. Restart bluestacks…if it didn’t worked, I will post alternative solution shortly.